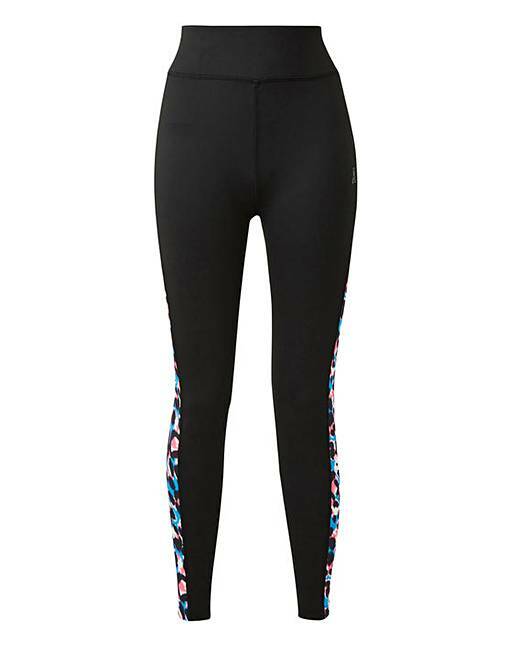 Active Print Legging is rated 4.5 out of 5 by 2. These new-season print leggings come complete with contrast black panels that are designed to slim your legs down, these leggings will quickly become your new favourites. Designed with a high waistband that will sit into your waist, these leggings are perfect to pair with our double-layer T-shirts. Manufactured from quick-drying and moisture-wicking fabric, these are perfect to wear whilst you exercise. Rated 5 out of 5 by Carole M from Great leggings. I bought these leggings to motivate me to go back to the gym in the new year. They fit well and look good. Rated 4 out of 5 by shebadiva from nice fit Was very pleased with these leggings,fit in all the right places,true to size.Legs slightly longer than expected though not a major issue for me.